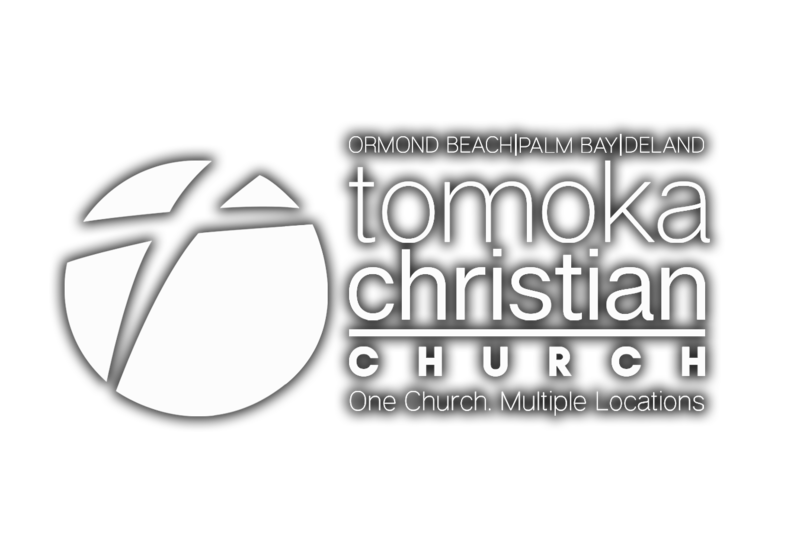 Tomoka Christian Church exists to passionately affect our world with the life-changing Gospel of Jesus Christ. We do this by worshiping God, proclaiming His Word, and equipping and deploying into ministry fully devoted followers of Jesus Christ. Making it hard to go to hell from this generation. Tomoka Christian Church accepts the Holy Scriptures as the revealed will of God, the all-sufficient rule of faith and practice, and, for the purpose of maintaining general unity, adopts these Statements of Fundamental Truths and Doctrine. The fundamental teachings of this Church are reflected in the following clear statements of faith. We believe in the inspiration of the Scriptures as originally given. The Scriptures are infallible, inerrant, and the sole and final authority for all matters of faith and conduct (II Timothy 3:16, I Corinthians 2:13). We believe in the eternal God the Father, the Creator of the universe (Deuteronomy 6:4). We believe in the creation, test and fall of man as recorded in Genesis, his total spiritual depravity and inability to attain divine righteousness (Romans 3:10, 23 and 5:12, 18). We believe in the Lord Jesus Christ, the Son of God, Messiah of Israel, the Savior of men, conceived of the Holy Spirit, and born of the virgin Mary (Luke 1:26-28, John 1:14-18, Isaiah 7:14, 9:6-7). We believe the Messiah died and became the sacrificed Lamb for our sins, was buried and rose again on the third day and personally appeared to His disciples (Luke 24:1-53, Romans 4:25, I Corinthians 15:8). We believe in the bodily ascension of Jesus to Heaven, His exaltation, and personal, literal, and bodily coming again in the second time for His people (John 14:2-3, I Thessalonians 4:13-18, II Thessalonians 1:7, Revelation 19:11-16). We believe in the salvation of sinners by grace, through repentance and faith in the perfect and sufficient work of the Cross of Calvary by which we obtain remission of sins (Ephesians 2:8-9, Hebrews 9:12, Romans 5:11). We believe in the necessity of water baptism by immersion in the name of the eternal God in order to fulfill the command of the Lord Jesus the Messiah (Matthew 28:19, Acts 2:34-38, and 19:1-6, Acts 22:16). We believe in the operation of the gifts of the Holy Spirit (Galatians 5:22-23, I Corinthians 12, Romans 12, Ephesians 4). We believe in the Spirit-filled life, a life of separation from the world and perfecting of holiness in the fear of God as expressing the true Messianic faith (Ephesians 5:18, II Corinthians 6:14, 7:1). We believe in the reality and personality of the devil and eternal judgment in the lake of fire prepared for the devil, his angels and those who follow him (Matthew 25:41, Revelation 20:1-10). We believe in eternal life for believers (John 3:16, 5:24) and eternal punishment for the unbelievers (Mark 9:43-48, II Thessalonians 1:9, Revelation 20:10, 15). We believe in the reality of one new man made up of Jews and Gentiles (Ephesians 2). There is one universal Body of Messiah, made up of genuine believers, but this one universal Body is also composed of many local fellowships in given localities. These fellowships are under the sovereign headship of the Lord Jesus the Messiah, exercising autonomous government under Him, administering all its local affairs, and ministry, as well as the propagation of the Gospel (Acts 15:22, Matthew 16:18, 18:15-20). We believe that government is ordained of God, and powers that be are ordained ministers of God to us for good. To resist the powers and ordinances is to resist the ordinance of God. We are subject not only for wrath sake, but for conscience sake, rendering to all their dues, custom to whom custom, fear to whom fear, honor to whom honor. We declare our loyalty to our government and its leaders and will assist in every way possible consistent with our faith in the Scriptures as Christian citizens (Romans 13). Many people go their whole lives without knowing the truth of Jesus Christ and what it means to be His follower. They exist year after year without God in their life, with no idea of how to live or for what purpose they have been created. Maybe you have tried to find happiness and fulfillment through acquiring possessions or wealth, tried to escape through the use of drugs and alcohol, or tried to find peace through various religions or self-help programs. All of these will fail without knowing and accepting the life-changing message of Jesus Christ. The Bible is very clear on this issue. In John 14:6, Jesus states: “I am the way, the truth and the life; no one comes to the Father, but through me.” What is the solution to the human dilemma? Read on and find out. God has provided the way. The good news is that God sent us His son to restore our relationship with Him. Jesus Christ gave His life as the perfect sacrifice for the sins of mankind by dying on the cross. He then rose from the dead after three days to demonstrate His power over sin and death. “For Christ died for our sins, once for all, the righteous for the unrighteous, to bring you to God.” 1 Peter 3:18. Jesus paid the penalty for our sin and bridged the gap between God and His people. Which choice will you make? Your way or God’s way? Which will you decide? Your response to this question is the most important decision you will make in this lifetime. Will you accept Jesus Christ as your Lord and Savior? Romans 10:9. If you want Jesus to be your Savior, you may pray something like this: Dear Jesus, I know I have sinned, and I believe You died to cleanse me of my sin. I want You to rescue me, and I want You to live inside of me now, so that I can live with You in heaven someday. Thank you for becoming my Savior. Amen. The next step is baptism. At Tomoka Christian, we practice “believer’s baptism.” Jesus called the church to mark the beginning of each disciples’ choice to follow Him with baptism. It is the believer’s first opportunity to declare allegiance to Christ. Here are some frequently asked questions regarding this view of baptism and what it might mean for you. What is the significance of believer’s baptism? Believer’s baptism is the way a person makes a public declaration of faith in Jesus Christ. By being baptized you are proclaiming that you are a follower of Jesus Christ, that Jesus is the Savior and Lord of your life, and that to the best of your ability you want to live your life in a way that pleases him. Baptism is what separates those who are spectators from those who have decided to get in the game. At the very beginning of his ministry Jesus himself was baptized (Matthew 3:13-17; Mark 1:9-11; Luke 3:21-22; John 1:31-34). His last words to his friends before he ascended to heaven were the command to “…go and make disciples of all nations, baptizing them in the name of the Father and of the Son and of the Holy Spirit, and teaching them to obey everything I have commanded you” (Matthew 28:19b-20a). In the New Testament, baptism is part of the conversion. So much so that the two were considered part of one event (Acts 2:38; 22:16; 1 Peter 3:21). At TCC we understand scripture to teach that the act of baptism is a part of the grace and salvation process. It is an outward commitment of an inward work of grace that is taking place (Titus 3:5; Ephesians 2:8,9; Romans 6:3,4). Thoughtful and committed Christians have disagreed about this question for centuries. The church understands the scriptures to teach that baptism is an expression of the commitment of the person being baptized. That is why we call it “believer’s baptism.” It is an expression of a person’s faith in Christ and a desire to follow Christ. Therefore, baptism ought to be restricted to someone who is mature enough to make that decision and that commitment. Baptism is for those who have made a personal decision to trust Christ alone for their salvation (Acts 2:38; 8:12; 18:8; 19:4; 22:16). If I was baptized as an infant, should I be baptized again? If you were baptized as a child, it was the intent of your parents that you would one day be a follower of Christ. Your baptism as an adult can be viewed as the fulfillment of your parents’ wishes. It in no way repudiates the baptism you received as a child. If you have made a faith commitment to Christ as a mature person, then we encourage you to be baptized by immersion as an adult. This is an expression of your commitment to follow Christ. How much water does it take to get baptized? of Tomoka Christian that the method of immersion best fits the word used in the New Testament for baptism and best fits the symbolism (the word means “to dip or immerse” also “to purify”). Going all the way under the water symbolizes the fact that you have been cleansed fully from head to foot and have been totally forgiven. As you go under the water you identify with Jesus in his death and burial, and as you come up out of the water you identify with Christ in his resurrection. (Romans 6:4-7) The value of baptism is in the heart and life of the believer. Is baptism a guarantee of getting into heaven when I die? No, it is not. God offers his forgiveness and salvation as a free gift of grace. We receive his gift by faith. We cannot earn it by being baptized. If you have been counting on the fact that you were baptized as a infant as a ticket into heaven you have misunderstood what baptism is all about. Having water sprinkled on your head when you are a few weeks old will not get you into heaven. You can’t get into heaven by being baptized. You are saved by faith, not by baptism (John 3:16; Romans 10:9, 10:13, 11:6; Titus 3:5; Ephesians 2:8,9) It is all about the blood that Jesus shed on the cross for the sins of mankind. Can I make it into heaven even if I say no to baptism? Jesus himself was baptized. We at Tomoka Christian would have a concern as to why you would not want to be baptized, as well. Jesus clearly commands his followers to be baptized as a way of declaring their devotion to him. Baptism is the first thing Jesus asks you to do in obedience to him. Jesus said, “If anyone loves me, he will obey my teaching … He who does not love me will not obey my teaching” (John 14:23a, 14:24a). Baptism is for believers. A believer is someone who has realized that their sin separated them from God and is repentant. They have given up all efforts to reach God through good works or religious activity. They have concluded that Jesus Christ’s death on the cross for their sins is the only thing that can bridge the gap between them and God. A believer is someone who has decided to trust Christ alone for his or her salvation. If you have come to that point in your spiritual journey, then the answer is yes, you are ready to be baptized (Acts 8:34-38). Contact the church via e-mail or at (386) 677-6455 to schedule your baptism, or let staff know when you come to church.